Firefly Cinemas and the Taranaki Social & Recreational Group are bringing the drive-in to New Plymouth’s Pukekura Raceway this April to help local people with intellectual & physical disabilities. 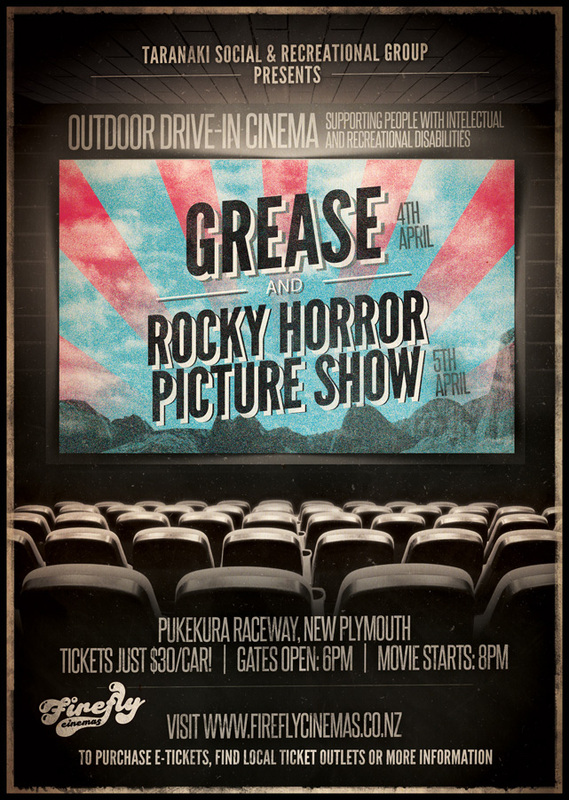 We are showing two great movies – Grease (4th April) & The Rocky Horror Picture Show (5th April). We have a heap of space up there, so there’ll be over 200 cars at each viewing plus heaps of food & drinks and entertainment so will be a great night out. Is this an alcohol free event ? Do you have any drive in movies planned for Taranaki? Hey Karen – they’re in the pipeline at the moment. Subscribe to our newsletter on our homepage and you’ll get an email as soon as they’re announced. Thanks!